A few years ago, I thought tight hips were limiting me from certain movements, so I chose Vinyasa yoga to increase my flexibility. What I didn’t realize then was that most yoga classes require external rotation of the hip, such as Warrior 2, Triangle, Extended Side Angle, Pigeon, etc. The yoga practice I chose was overworking the muscles that externally rotated my hip and weakened my already underactive inner thigh muscles and hip adductors. This consistent overuse of external rotation was creating an imbalance in my body and I had no idea. I was overstretching my muscles, degenerating tissues, and causing instability in my body. Overtime, when my hip flexibility started to increase, so did my pain. It was a dull pain on the right side of my hip that worked its way down the upper front portion of my leg. The sensation originated near the gluteus medius and traveled towards the Tensor fasciae latae, iliotibial band, sartorious and part of the rectus femoris. For a while I ignored it, still being aware of the sensation every time I performed a physical activity. Instead of harnessing my critical thinking skills to identify the areas of my body that needed to be strengthened, lengthened, and mobilized, I stretched one area of my hip instead. It wasn’t until I began studying Yoga Tune Up® and The Roll Model Method® several years ago that I learned how much harm I was doing by focusing on too much of one thing. I now understand that in order to “open up” the hips, we must move the ball and socket joint and its connective tissues in external and internal rotation, flexion, extension, circumduction, adduction, and abduction. Here are the exercises for hip pain relief that helped me ease discomfort in my hip and regain the natural mobility of the joint, which in turn increased the flexibility I was looking for. 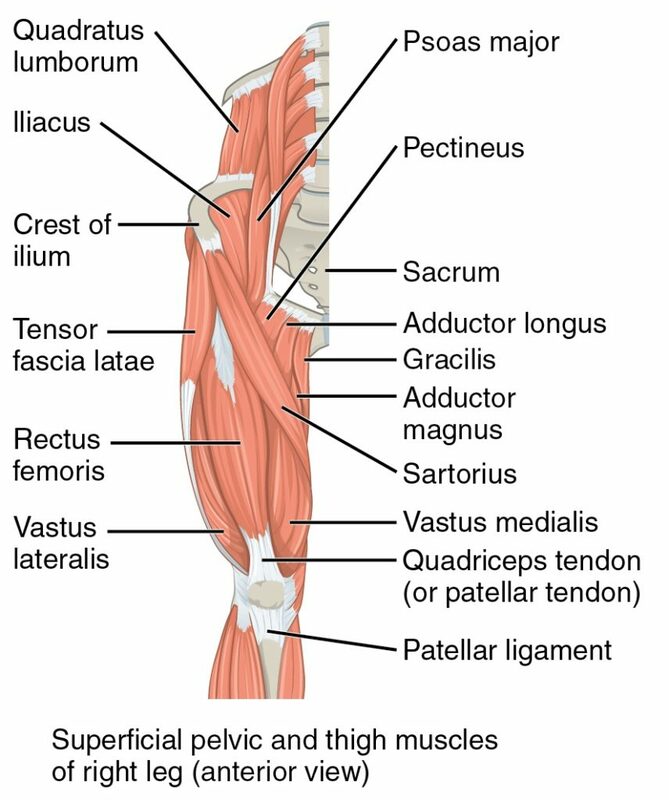 I perform Adductor Slides to strengthen the adductor magnus and Half Happy Baby Mini Vini to mobilize the hip socket. I make sure to find balance by strengthening my inner quadriceps, gluteals, hamstrings, adductors, and psoas as well. In my previous posts, I discussed how inactivity due to Migraine Associated Vertigo (MAV) ignited my old hip pain. Thankfully Yoga Tune Up® techniques have eased my pain and discomfort. I am taking the YTU certification training, and it has helped me find my blidspots and weaknesses. Now knowing the different directions of movement of the hip, I can better balance my Pilates practice. Thank you for sharing part of your movement journey. I’ve had similar experiences, not with pain in my hips, but in other areas of my body. And while I’ve had teachers pretty much from the beginning, focus on tissue strength, everything started to make more sense in my body a bit before and a ton after I finished the YTU certification training. Such a wake up call to blind spots in my previous practices! This is great! I never thought of it this way, but there is definitely a lot of external hip rotation in yoga. Not to mention a million pigeon poses that just re-enforce the same pattern! Very helpful article to consider varying movements, especially for our students. Love this blog! I have this same issue! I am adding adductor slides and Happy Baby Mini Vini’s to my yoga practice. Great example of the uniqueness of our bodies. I appreciate how Lauren doesn’t forsake Vinyasa but instead contextualizes how the needs of her body were not being addressed by that particular practice. It reinforces the concept that cues are based on context. It also shifts the responsibility of taking care of your body from the teacher to the individual. When we take responsibility for our actions and our choices, we have no one else to blame but ourselves, both for the good and the bad. Scary but also empowering! This is my area of concern and I got there doing exactly what the author did. Now I am in rehab and my number 1 go-to is Adductor Slides. Yoga world out there – stop with the crazy hip openers! Another exercise that we can add to the list for strengthening these neglected adductors is to squeeze and release a Coregeous ball between the thighs. I came to the same realization when I started my Yoga Tune Up Teacher training. Initially I felt yoga was stretching and strengthening my entire body evenly. I have also experienced the same hip tightness. Adductor Slides and 1/2 Happy Baby Mini Vini are now part of my practice! Thank you!